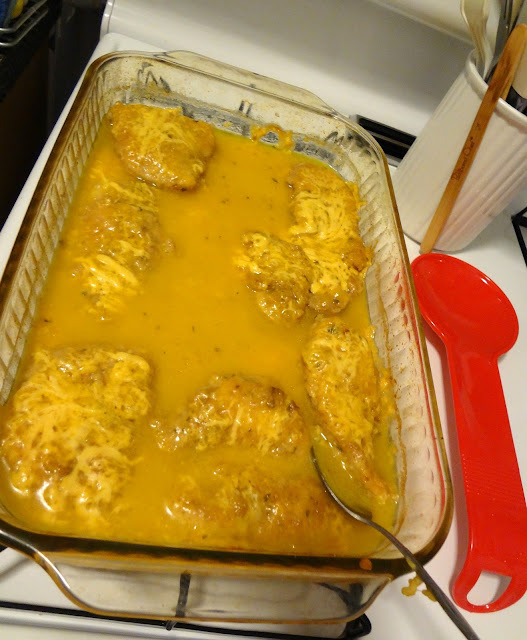 About 10-15 boneless,skinless chicken pieces (tenderloins or cut up breasts, whatever you like)-depending on size. Enough to fill a 9 x 13 dish. Put eggs in one bowl and breadcrumbs in another. Put some oil in a pan and heat. 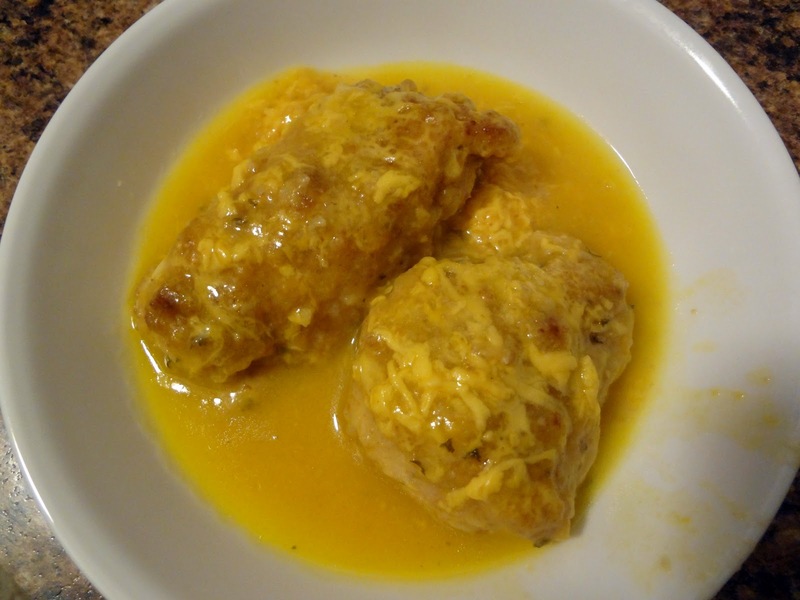 Dip chicken in eggs, then coat in breadcrumbs. 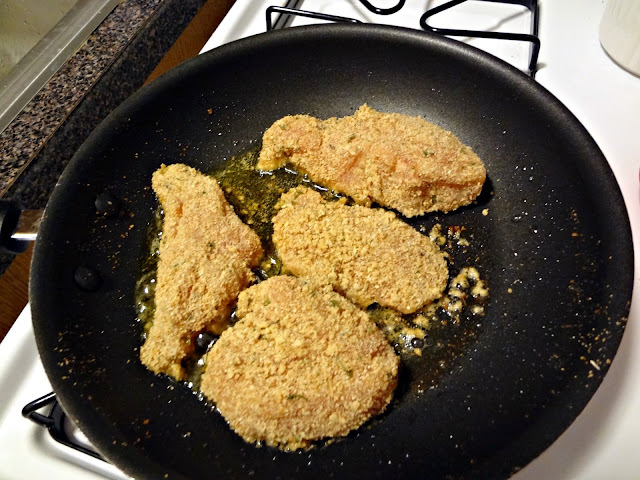 Brown both sides of chicken in pan. Put browned chicken in 9 x 13 casserole dish. 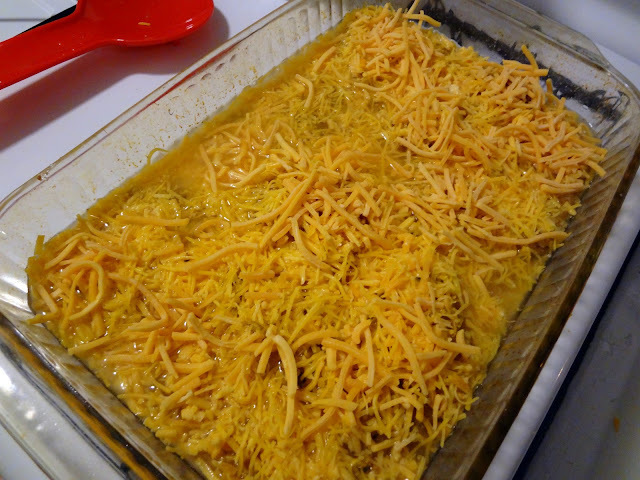 Once all the chicken is in, put as much cheese on top as you like (I usually use 1.5-2 packages). Cover casserole dish with foil and bake 50 minutes.